Lowest Prices for the best patio accessories from Boone Outdoor. 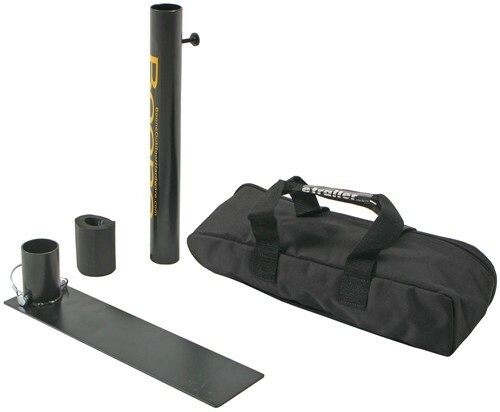 GameDay Tailgating Drive-Up Flag Pole Base with Bumper Protector and Carry Case part number 79553 can be ordered online at etrailer.com or call 800-298-8924 for expert service. 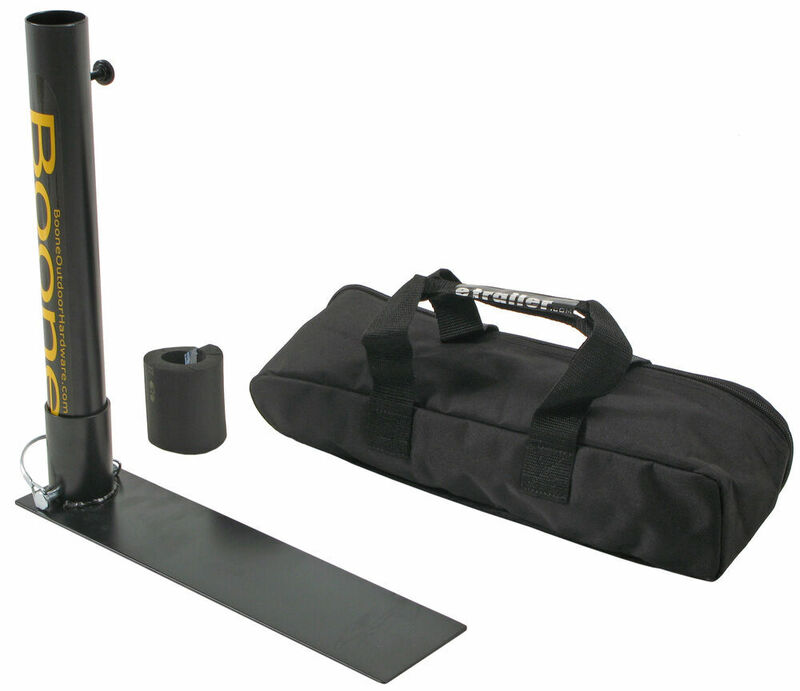 Boone's Flag Pole Base rests under the tire of the vehicle to provide a sercure holder for your Team's Flag! 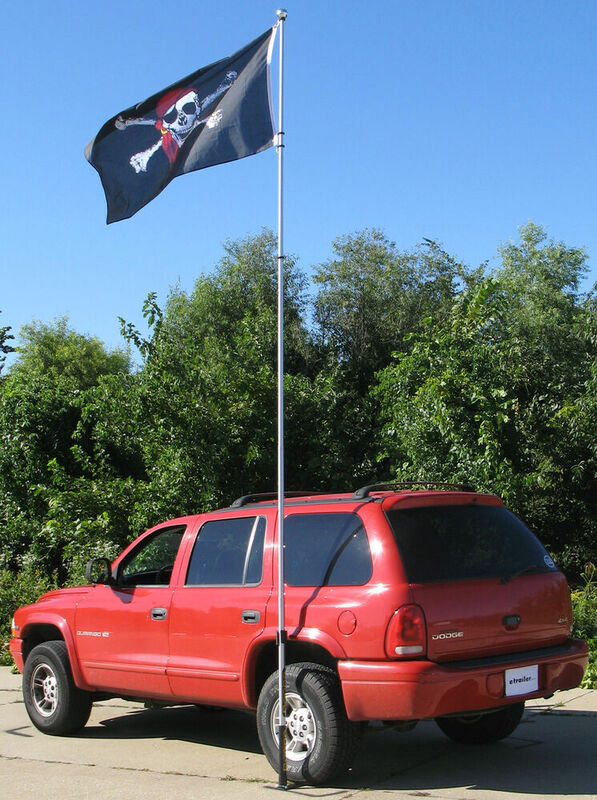 Included is a bumper protector which wraps around the flag pole. Still need the the pole? 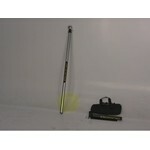 Use Boone's Telescoping, Fiberglass Flag Pole. GameDay flag pole and base. 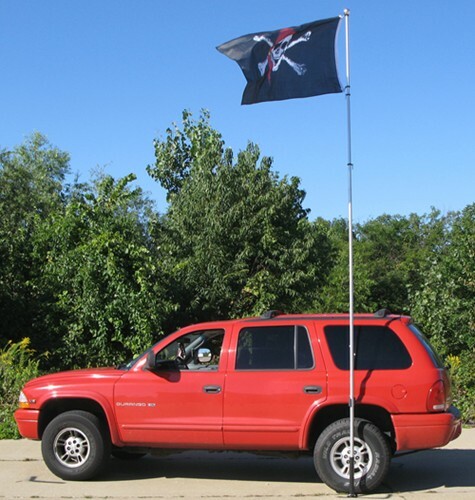 The GameDay Tailgating Drive-Up Flag Pole Base # 79553 would work well for you as it can fit flag poles that are up to 1.875 inches in diameter. You would just need to use the set screw on the base to tighten the flag to the tube and the movement and play would be removed. Notes: Kit is missing the storage bag. Otherwise new and unused.